Famous for everything from the Red Sox and Paul Revere to Cheers and clam “chowdah,” Boston is a popular destination for so many reasons. Part history lesson, part modern metropolis, the Hub offers attractions to suit every taste and interest. Hop on the Freedom Trail, a well-preserved pedestrian path that weaves in and out of historic neighborhoods. Between landmarks, you can shop the fabulous stores on Newbury Street, have a delicious authentic Italian meal in the North End or browse the antique shops of Beacon Hill. The more culturally inclined will not want to miss the city’s world-class museums, theater and music venues. 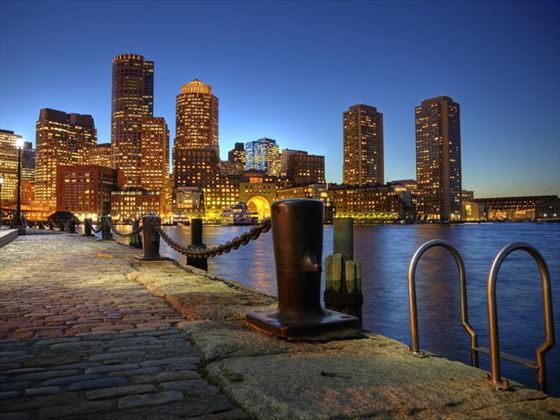 Family friendly to the core, Boston boasts a renowned aquarium, children’s museum and science museum, making it a great getaway for all. 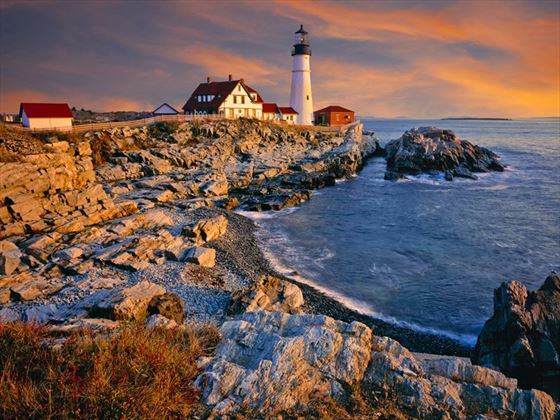 Travel through coastal New Hampshire into Maine. 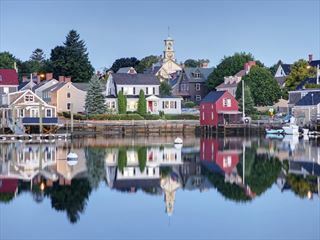 Visit Kennebunk and Kennebunkport, seasonal home to former US President George Bush. Continue along the coast to arrive early evening in Portland, known for its restored Old Port Exchange on the waterfront. Plentiful restaurants feature the local specialty — lobster! 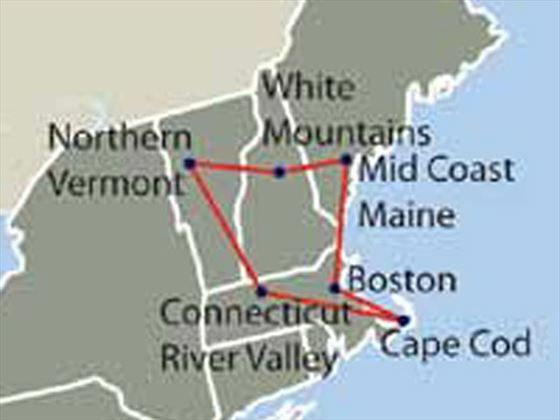 Journey through the Maine Lakes Region on your way to the White Mountains. Drive to North Conway, a shoppers’ paradise with countless factory outlet stores offering top quality at rock bottom prices. Also in North Conway: the Conway Scenic Railroad; and Heritage New Hampshire museum. The Mt. Washington Toll Road takes you to the summit of one of the east’s highest mountains. 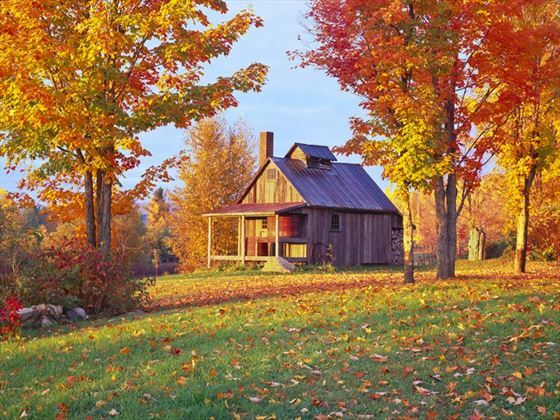 If you’re traveling onto Lincoln, journey along the picturesque Kancamagus Highway, an old Indian trail following the Swift River. If you spent the night in Jackson or North Conway, head along the Kancamagus Highway to Lincoln. 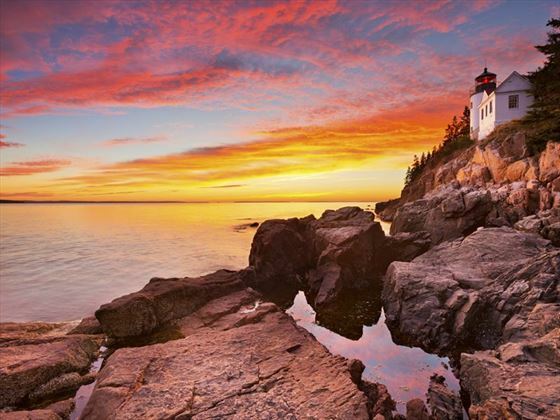 Travel south for a side trip to glimpse Lake Winnipesaukee or Lake Squam. Stop at Quechee Gorge, Vermont’s mini Grand Canyon, for breathtaking vistas. Stop in Woodstock with its traditional shops and covered bridge. A Burlington cultural icon is the University of Vermont’s Robert Hull Fleming Museum, which houses Vermont’s largest collection of art and anthropology. Nearby lies the Historic Church Street Marketplace, eight pedestrian-only cobble stoned blocks filled with shops, boutiques, cafes, restaurants, and historic architecture. Visit Shelburne Museum’s collections of Americana, gardens and the side wheeler, SS Ticonderoga. Travel to Rutland, once center to the Vermont marble industry; stop in quaint Manchester Village on your way to the Berkshire Hills of Massachusetts. Visit the Francine Clarke Art Institute in Williamstown, or head for Hancock and the Hancock Shaker Village, one of the last Shaker settlements. Continue to Lenox, summer home of the Boston Symphony and to Stockbridge, once home to Norman Rockwell, one of America’s greatest artists. The Norman Rockwell Museum houses many of his original works. 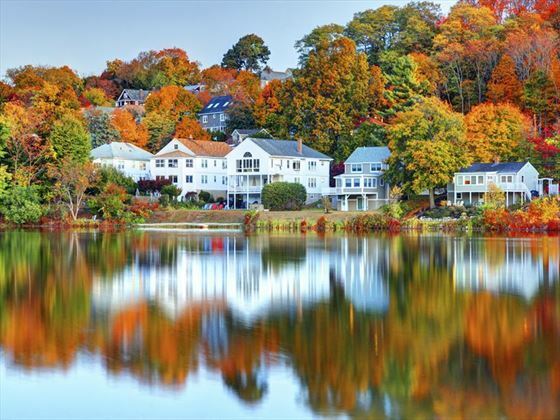 The choice is yours: spend time exploring Old Sturbridge Village, a living museum depicting life in the 19th century, then travel directly to Cape Cod; or head into America’s smallest state, Rhode Island, and visit Newport, the summer resort of America’s first millionaires. Tour the Ten Mile Drive, with its extravagant summer mansions. Explore Newport’s restored waterfront, which is home to many shops and restaurants. 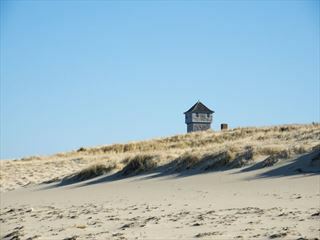 Then it’s off to Cape Cod, with its sandy beaches, historic villages, great shopping and excellent seafood. 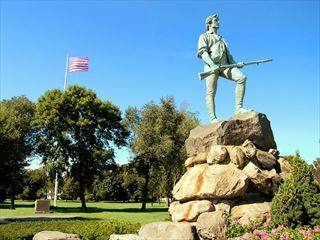 Boston’s Logan Airport is approximately 1.5 hours drive from Cape Cod and en-route you’ll have time to visit picturesque Sandwich, the Cape’s oldest town and at Plymouth the Plimoth Plantation, a living museum of 1627 life. Time for lunch before driving to the airport for your flight home.